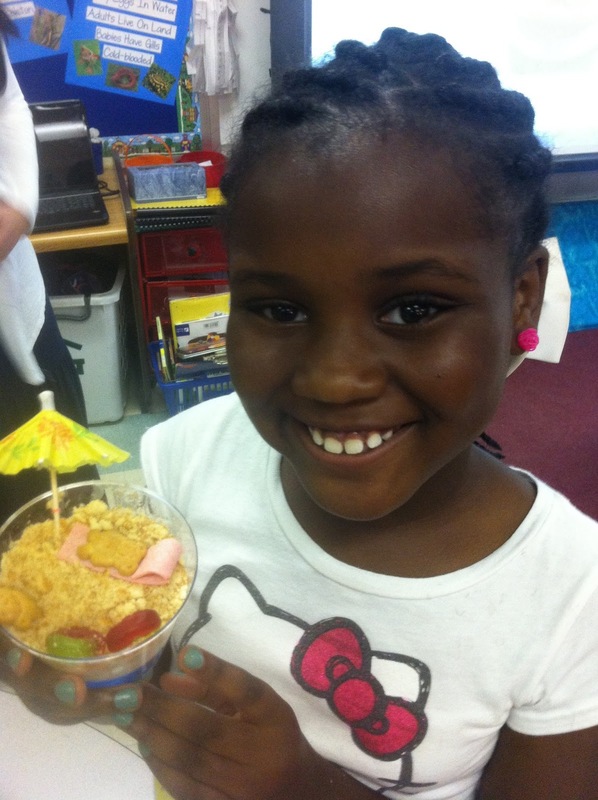 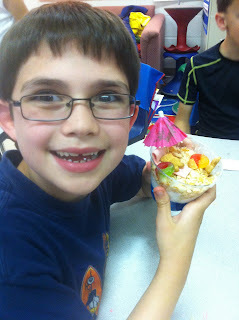 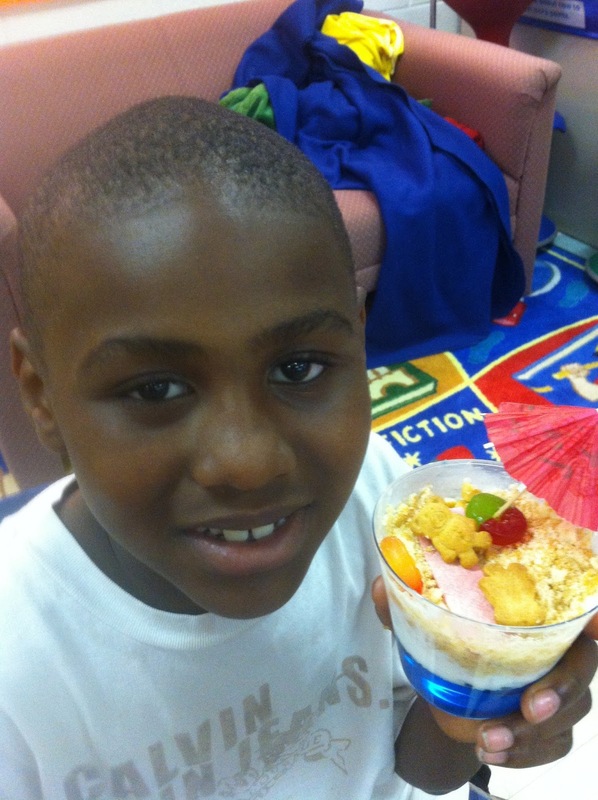 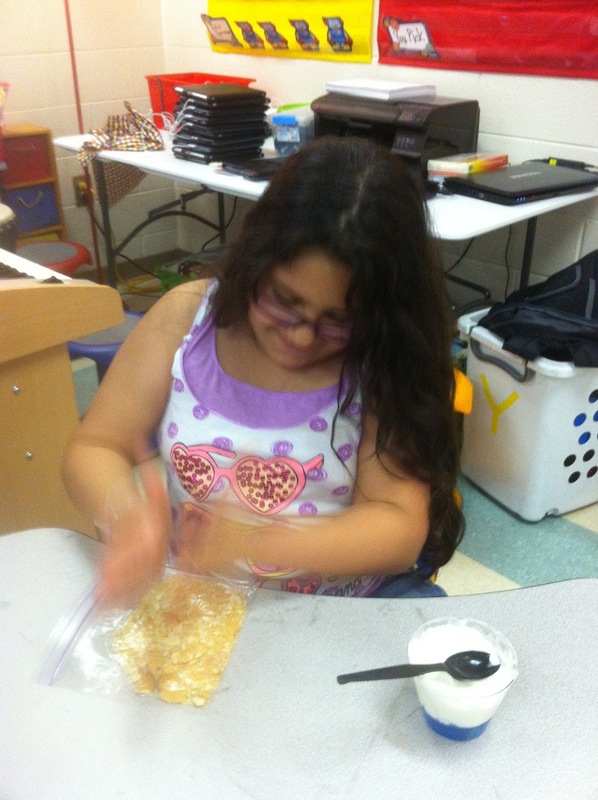 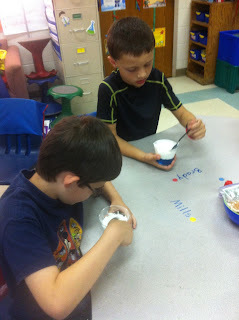 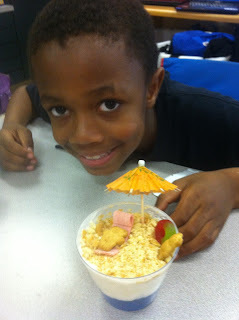 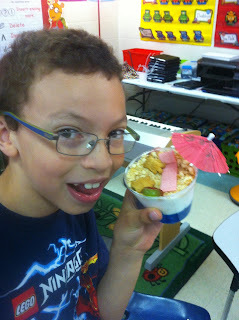 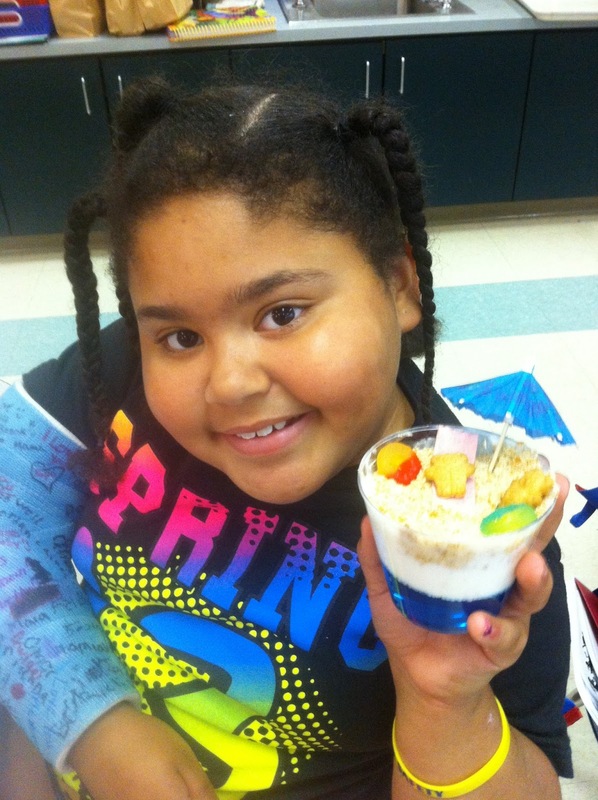 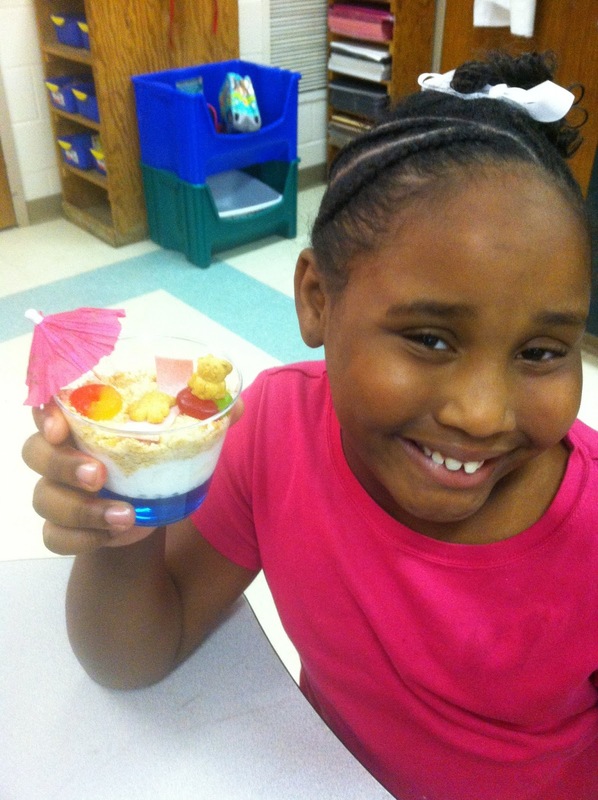 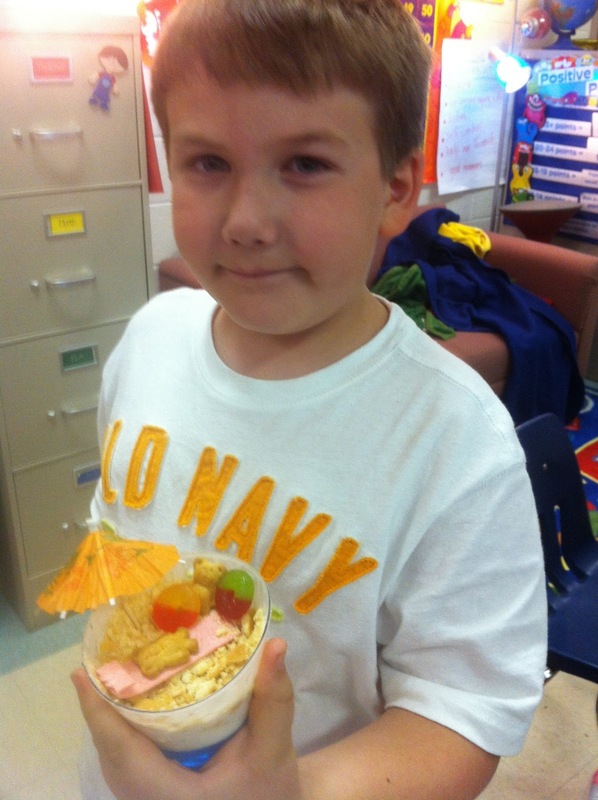 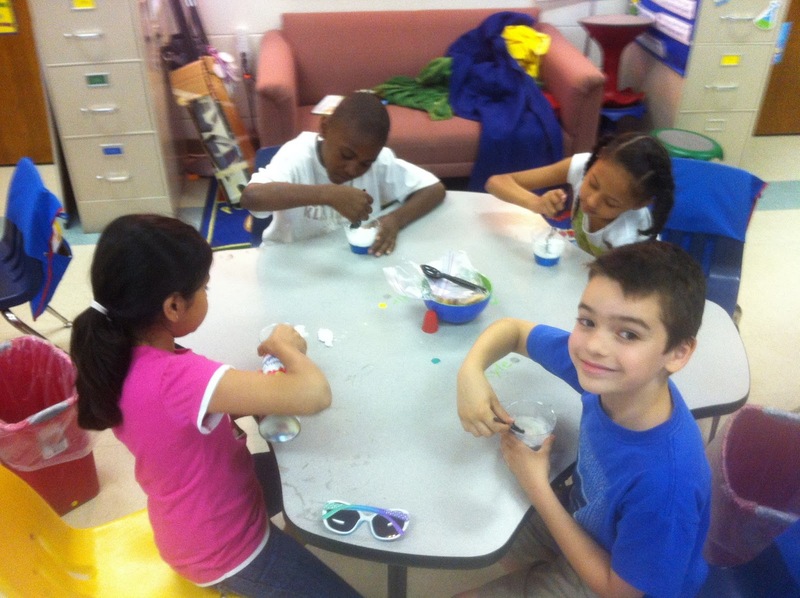 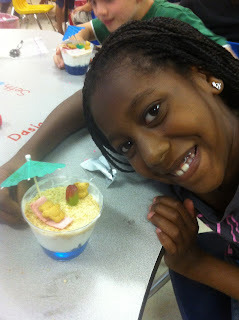 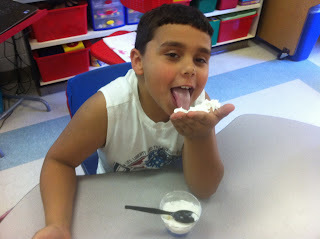 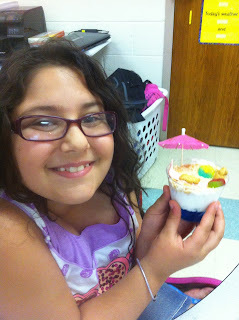 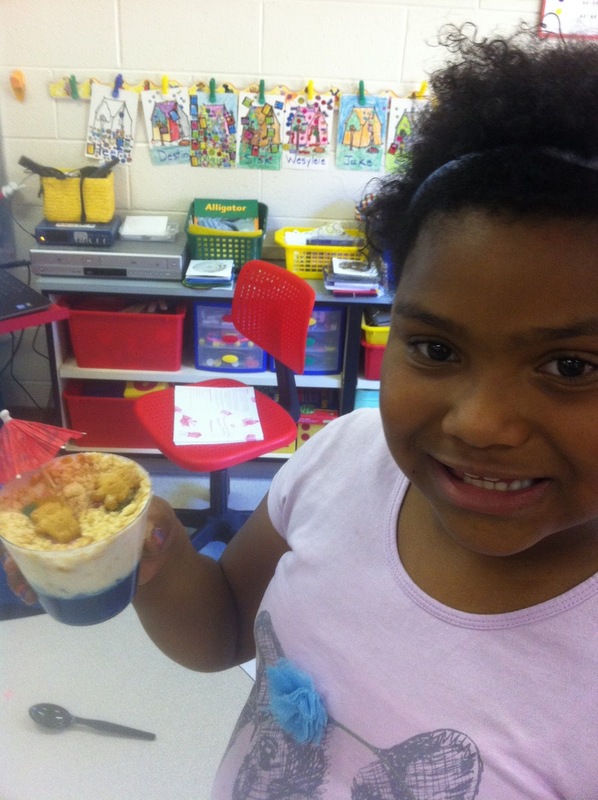 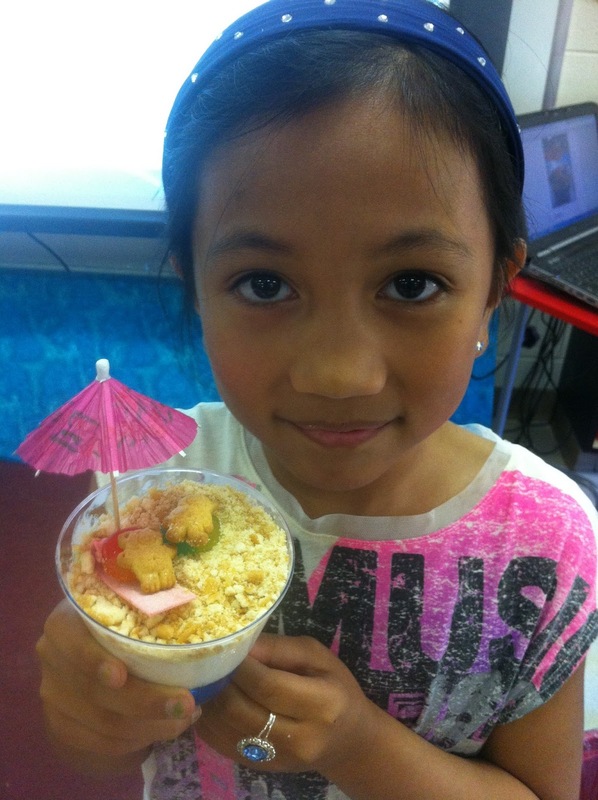 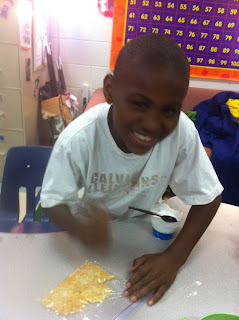 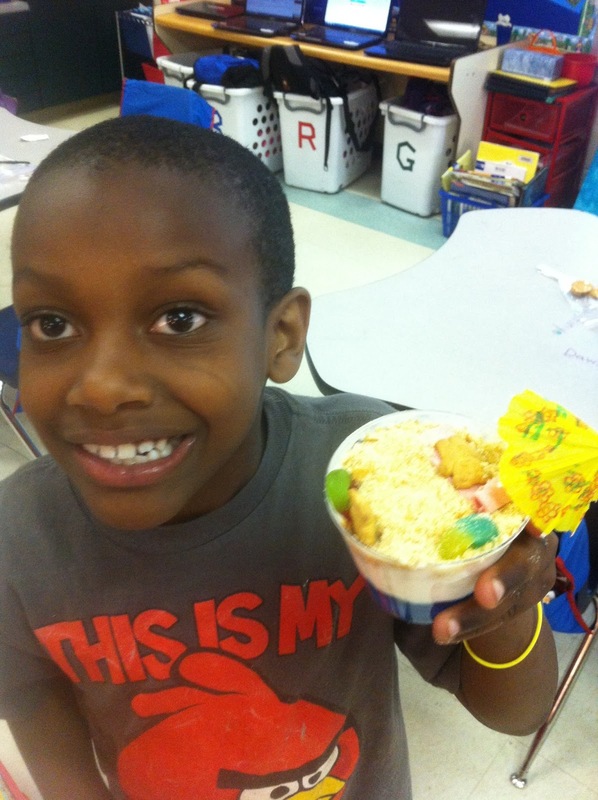 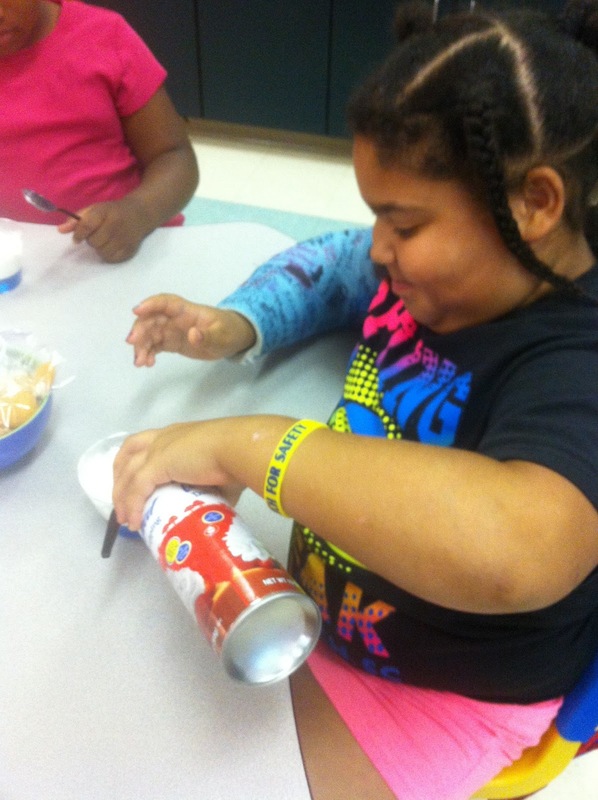 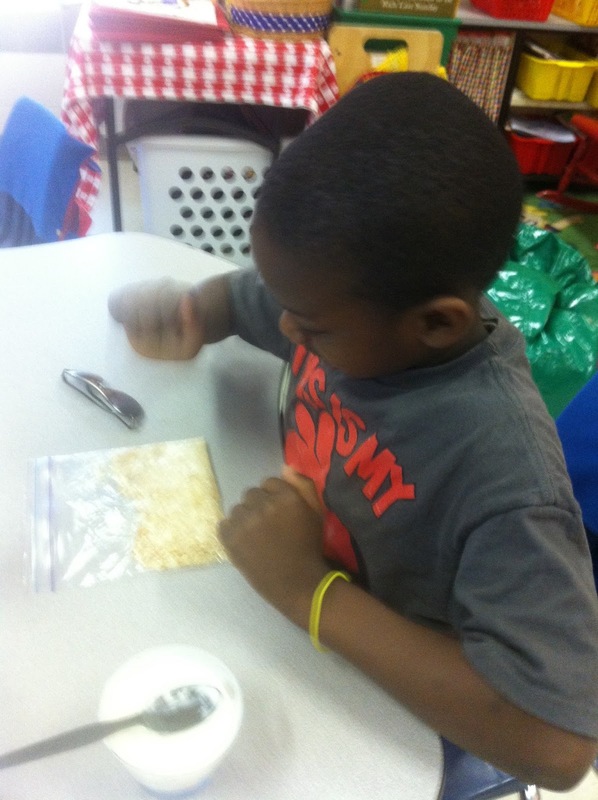 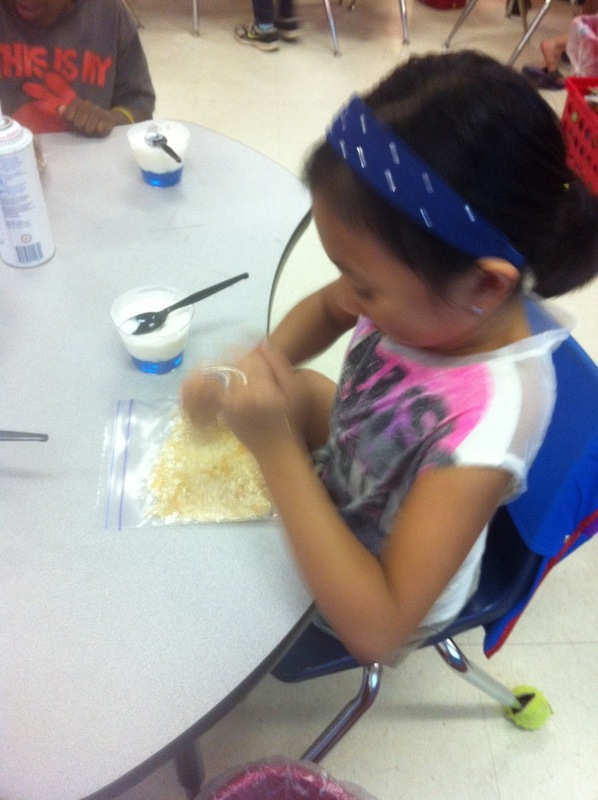 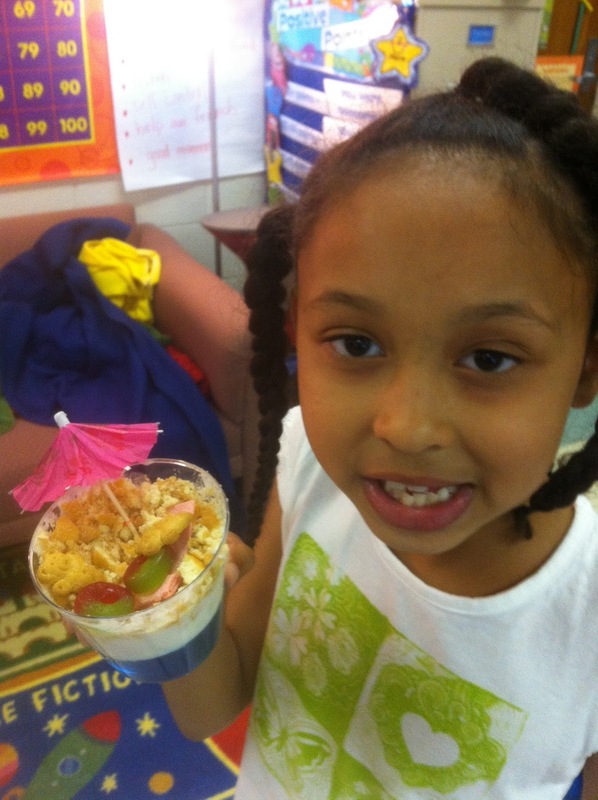 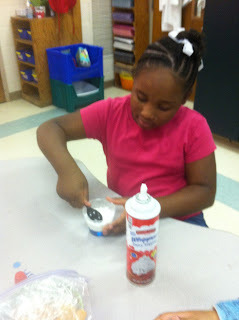 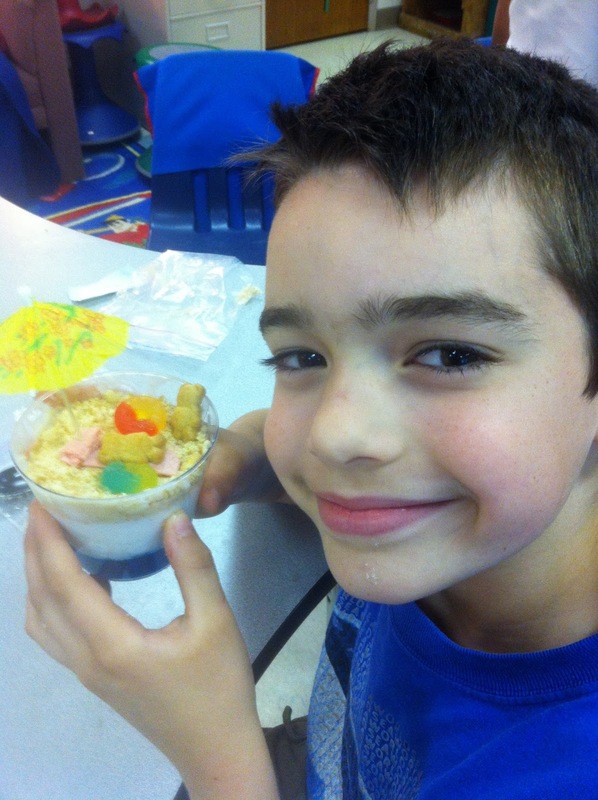 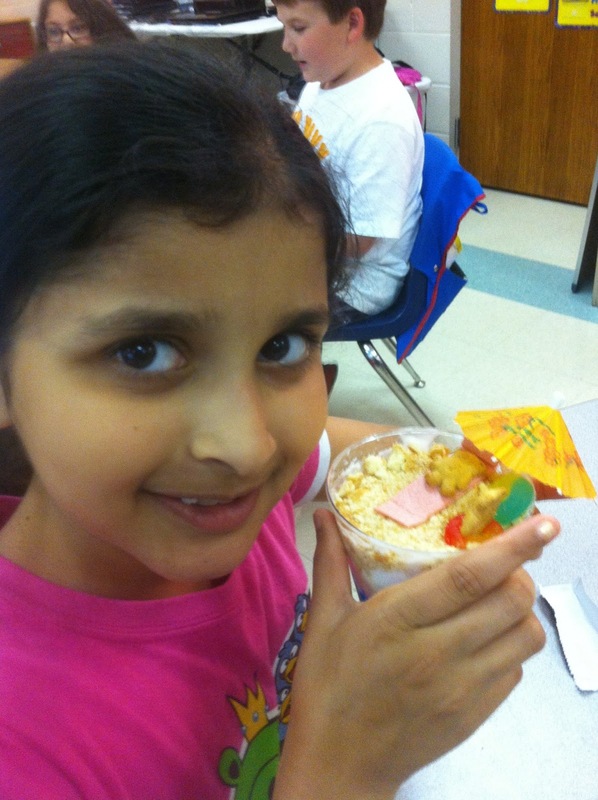 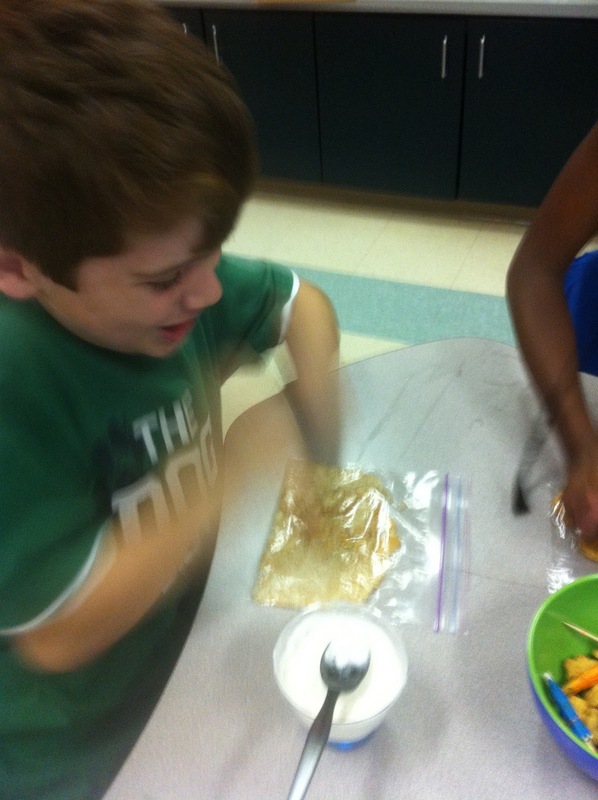 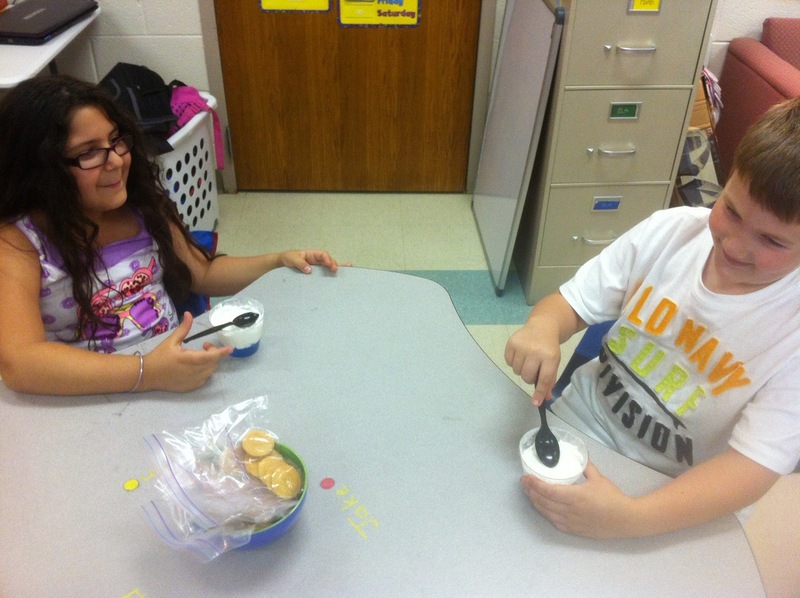 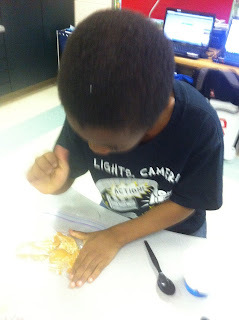 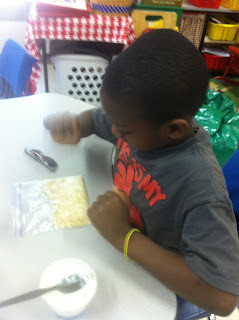 Mr. Dearybury's Class Blog: Beach Day Fun! 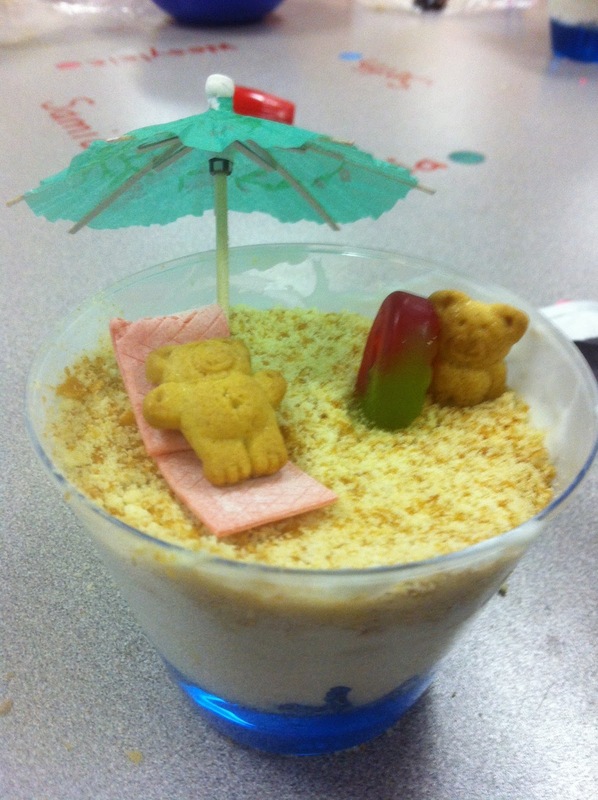 Beach Day 2013 has come and gone. 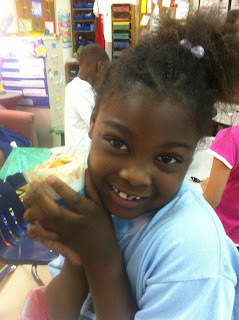 I cannot believe we are down to the final 4 days of next week! We had a great time relaxing outside and signing yearbooks for lunch. 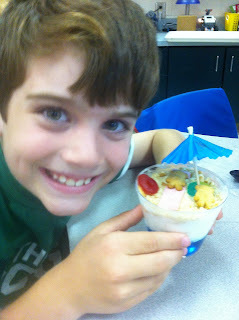 Then, we came inside for a cool beach day treat! 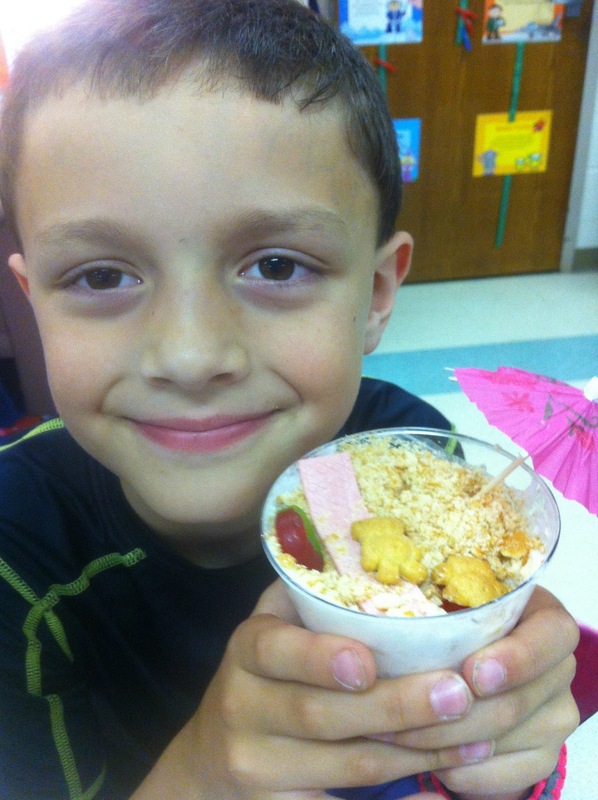 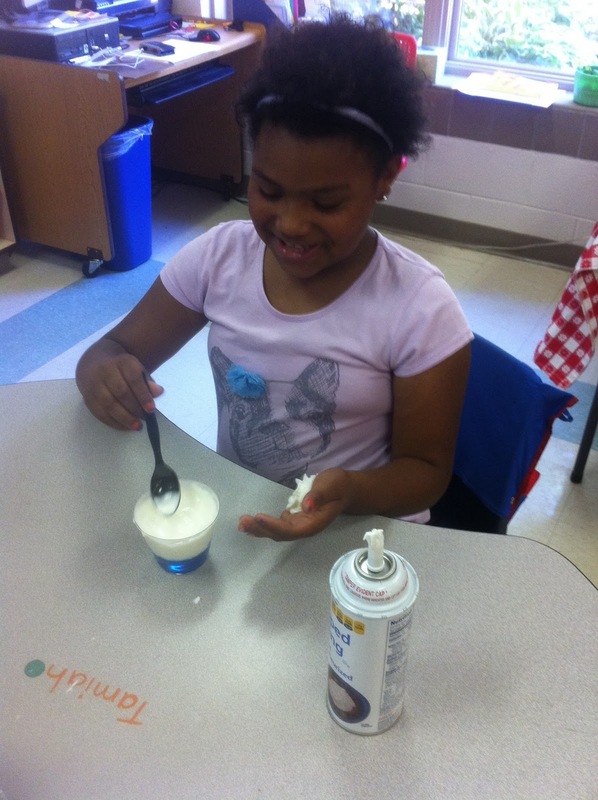 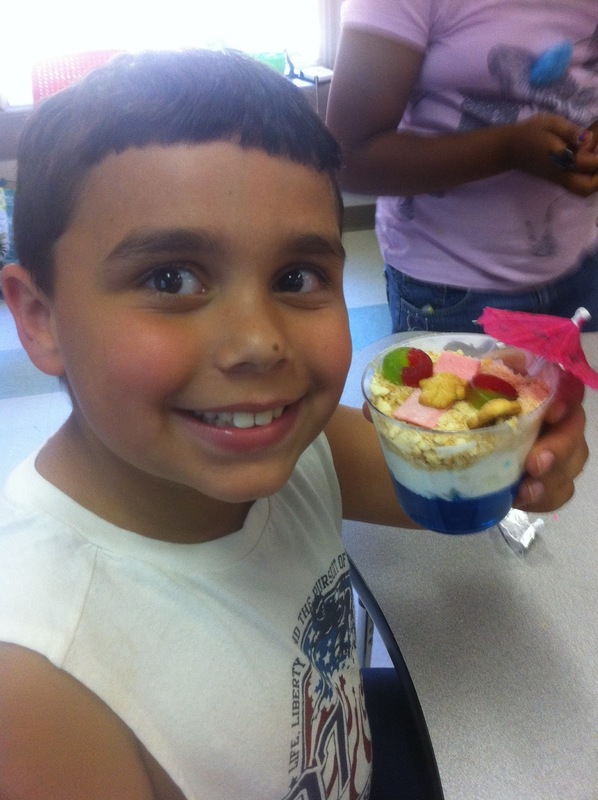 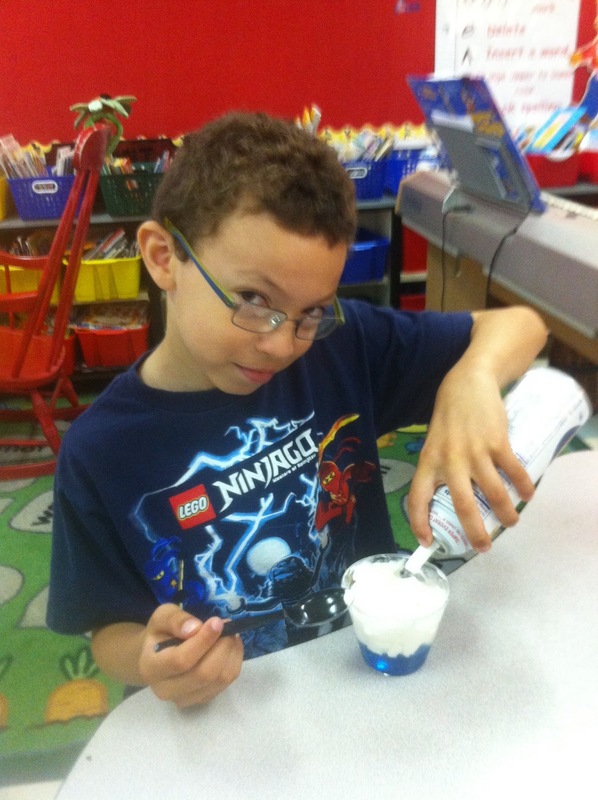 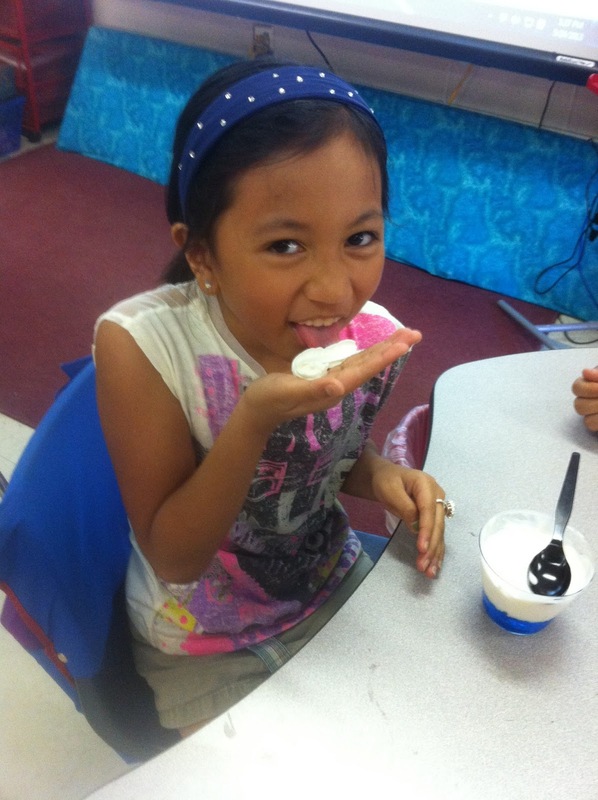 Check out the cool pics of our summer time dessert! After each student finished, they wrote in their journals a creative "Once Upon a Time" story. There were lots of bears eaten by sharks today. How sad for the little bears!